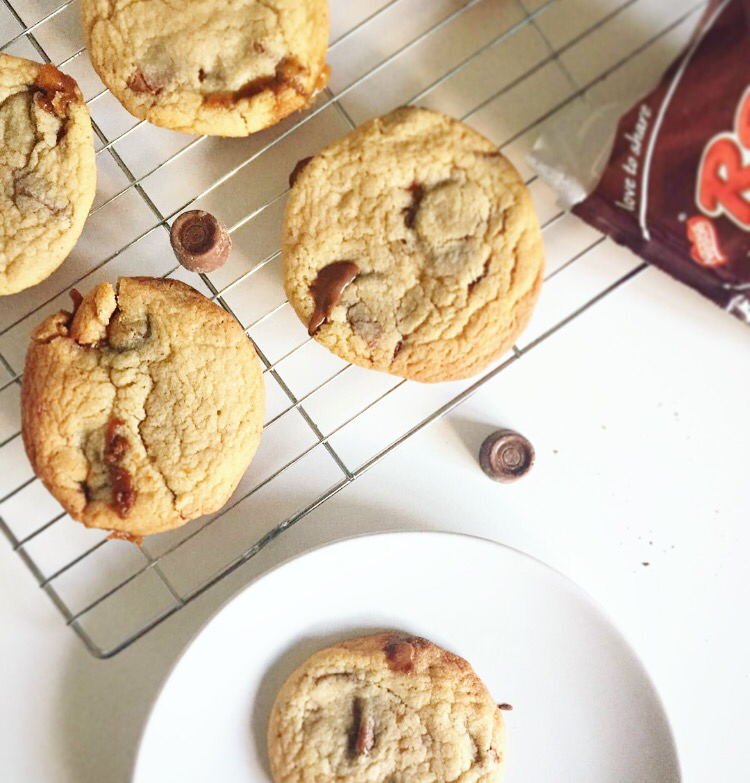 There are heaps of recipes out there but Rolo cookies are by far the absolute best and as I appear to be favouring cookie dough recipes at the moment on the blog, it would be damn right stupid of me not to include this. 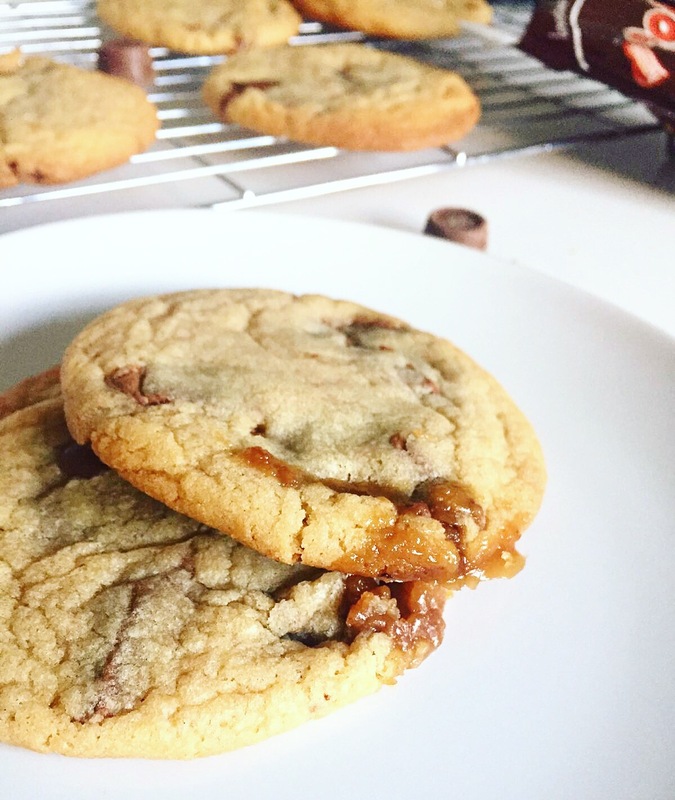 Like many of my cookie recipes, it follows my ultimate cookie dough recipe (see link below) which is easy, delicious and super gooey thanks to these guys. 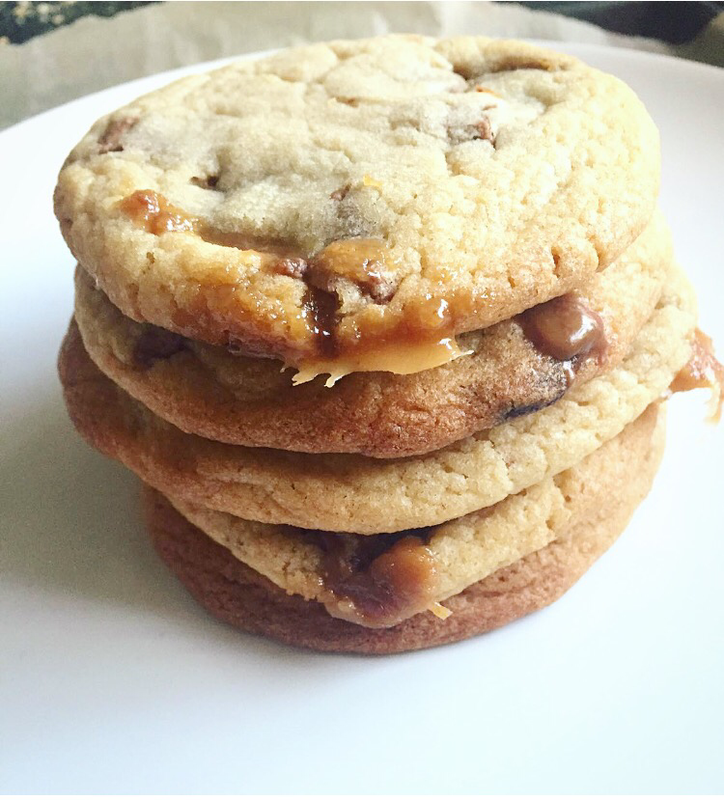 I have suggested you refrigerate the Rolo’s beforehand to help keep their shape a little but still give you an oozing of caramel, if you forget – which I often have – don’t fret, they will still be fine if not more gooey (basically, you can’t go wrong). Quantity: The large dough will makes around 20 medium sized biscuits. You can always freeze/refrigerate any leftover cookie dough when rolled up into a long sausage shape to bake another time. Tip: When frozen, bring back to room temperature before baking (can be kept in freezer for up to free months). When refrigerated, keep for up to two weeks, using before the dough dries up. 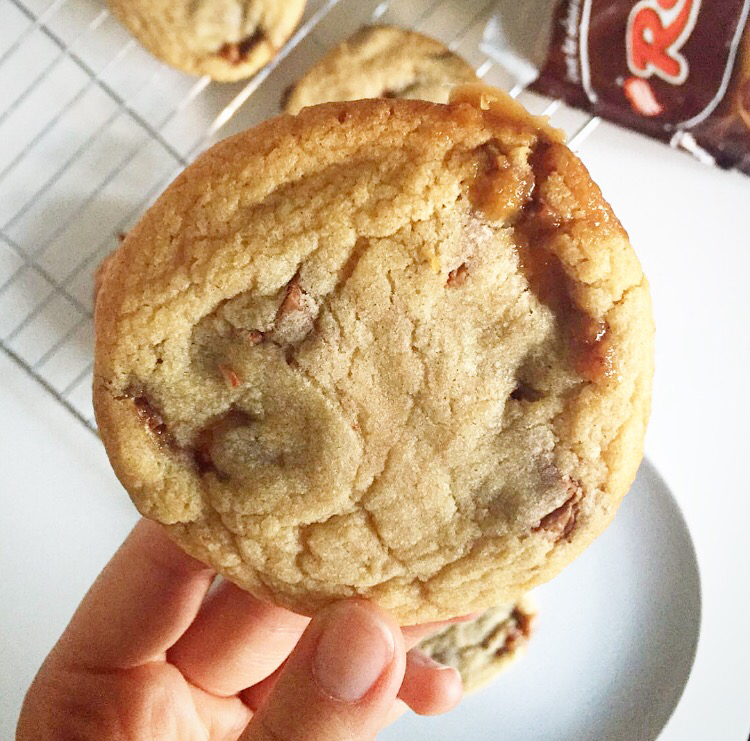 Crazy for cookie dough? Check out some of my other biscuit recipes such as S’mores Cookies, Oreo stuffed Cookies or Cookie Cheesecake. Rolos are my favorite candy 🙂 These look FABULOUS to me! !